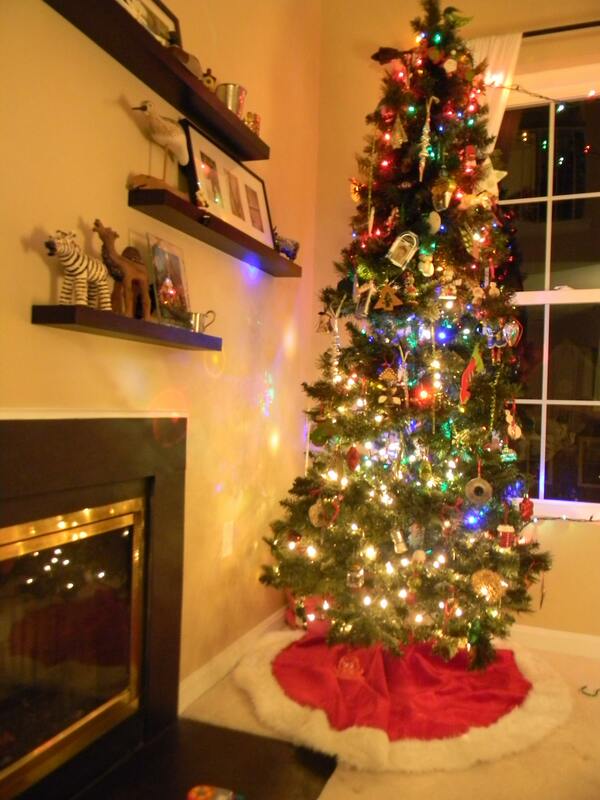 We did get our tree up this week. 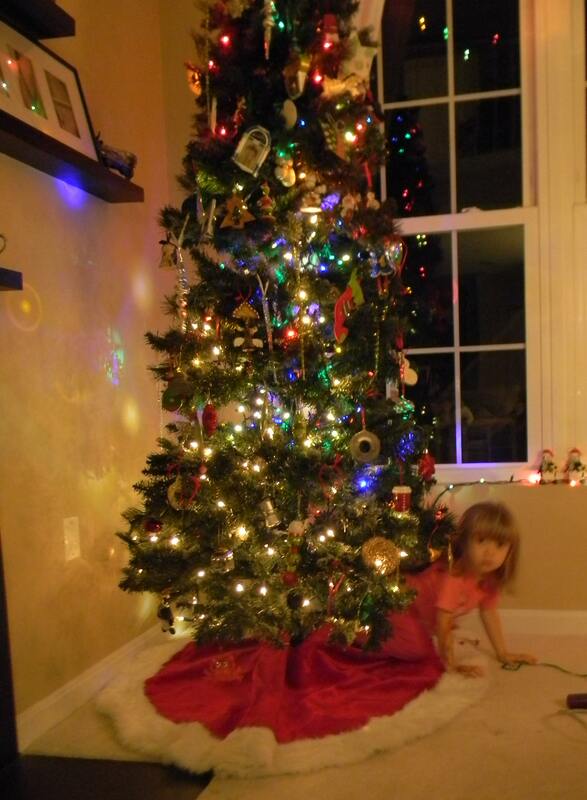 Last year, Miss H liked the tree but did not like the ornaments. This year, we could not get the ornaments (aka ‘toys’) on fast enough. She was our little drill sargeant, excitedly telling us to move faster and where to put all the decorations. She was a little bummed when every last ornament was on the tree. But, when she discovered she could rearrange them, all was okay. Do you see her new hiding place? She had to make sure she could crawl behind and under without doing any harm. We have new LED lights and they sure are bright. 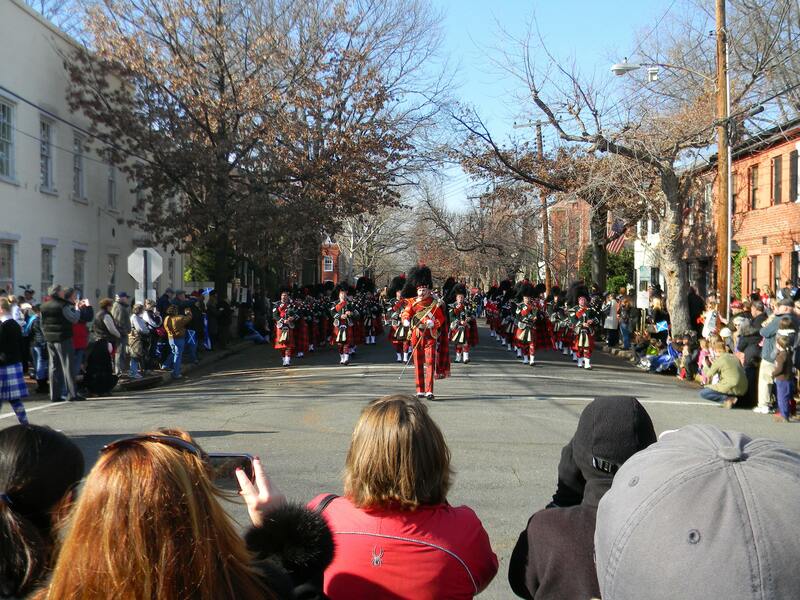 Keeping with the Christmas theme, we headed to the Scottish Christmas Walk Parade this weekend in Old Town. 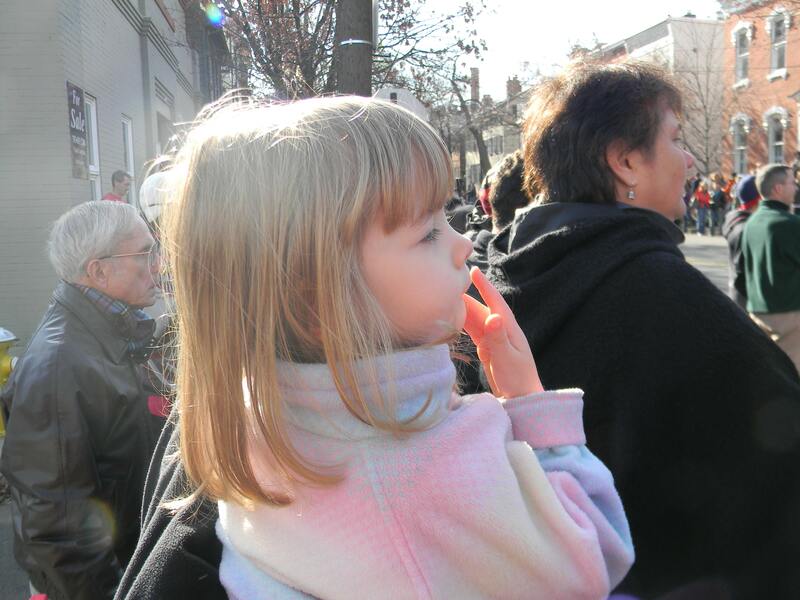 She loved the bagpipers and drummers. I have to admit that is my favorite part too. 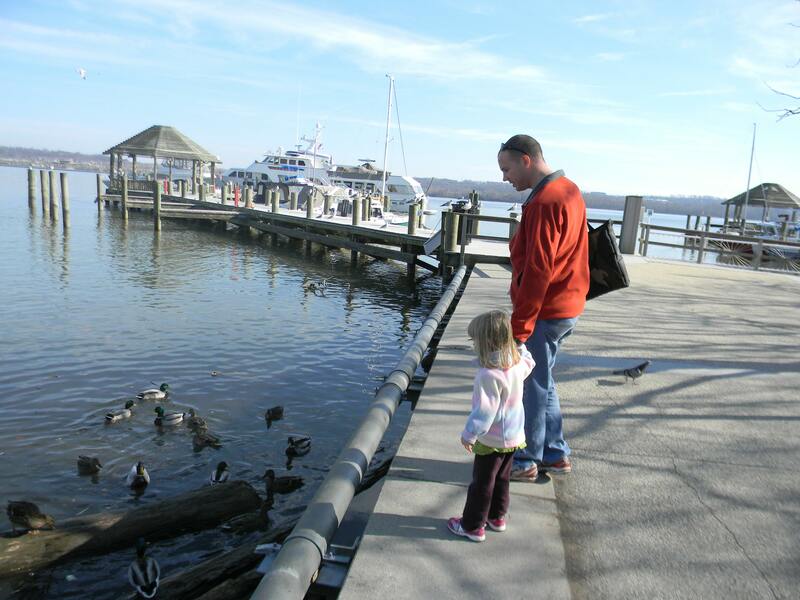 After they rolled through, nothing was as exciting so it was time to go see the ducks. 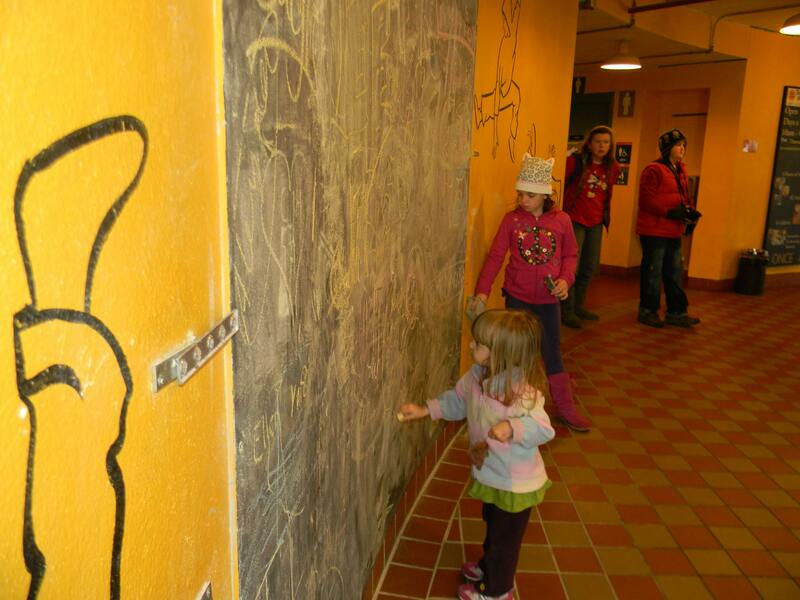 We even found the huge free for all chalkboard at the Torpedo Factory. 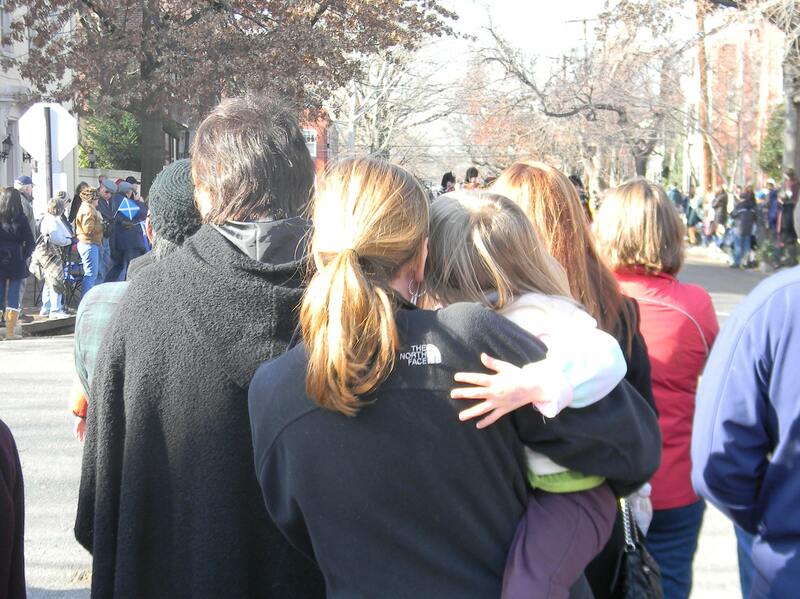 We went to see Mom in Annapolis today. While Kerry hung up some new shelves, Mom, Miss H and I visited the neighbors, had a picnic in the backyard and tried to locate the Coco (the cat). Coco did allow Miss H to get fairly close to her (no petting allowed) for a few minutes today. I think it was because she was in the middle of the bed and knew she was fairly safe. Maybe she is warming up to the thought of being petted by a toddler? ← It has been record breaking beautiful weather! I have a friend who used to do art at the Torpedo Factory–it looks like a cool place! The Babby is now a champion ornament re-arranger. It’s one of her favorite things. I can’t imagine how sad she’s going to be when the tree comes down!